We are delighted to announce the appointment of Mr Paul Hoskins as the new Director of Music of The Purcell School. Mr Hoskins joins us from Rambert, a dance company that under his influence has played an increasingly important role in the music world, where he is currently Music Director. In 2009 he devised the innovative and hugely successful Rambert Music Fellowship, to encourage young composers to write for dance. Recent Rambert projects have included Life is a Dream, set to symphonic works by Lutoslawski, at the 2018 Bergen International Festival; and a choreographed production of Haydn’s Creation at Sadler’s Wells with the BBC Singers. As a teacher Paul has helped a number of young conductors, players and composers. He works as a mentor for young musicians with the charity Future Talent, as an adjudicator at youth music festivals, and he regularly speaks and writes about music and dance. 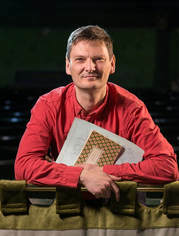 He has worked with several youth orchestras and choirs, and last year he conducted a concert at the Barbican that brought young composers, dancers and choreographers together to work with the London Schools Symphony Orchestra. He lives in Cricklewood, where he has been Chair of Governors at Childs Hill School for the last six years. His wife is an oboist, singer and teacher, and they have three children aged 17-22. Of his appointment, Paul commented, ‘The extraordinary talent of both students and staff at The Purcell School is clear to see. I am very excited to have the chance to work with these remarkable people, and I will do all I can to help realise the full potential of the school and everyone there. It is a privilege to be starting at the same time as Paul Bambrough. Most of my career has involved collaborating closely with other creative people, and I can’t wait to embark on new partnerships with him and with all my new colleagues’.